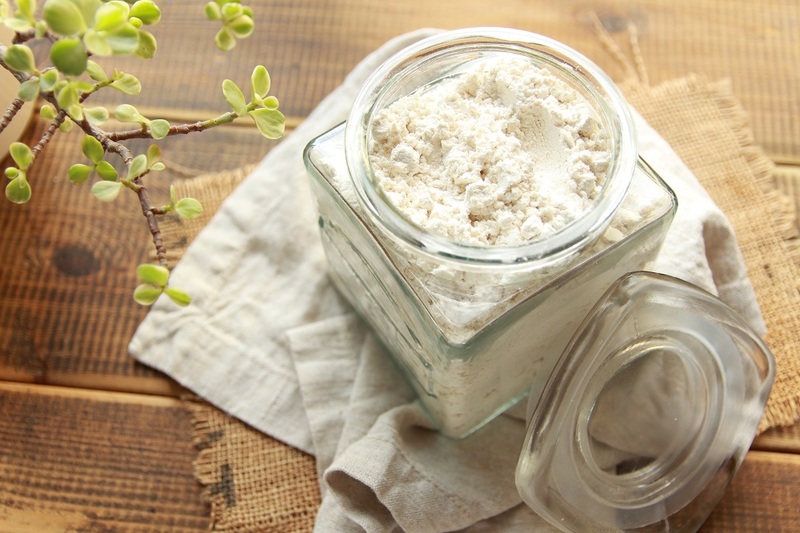 A friend of my Mother kindly wrote me a week ago to ask if I knew of a good homemade gluten free flour blend, as she wanted to replace the spelt flour in a recipe and didn’t want to buy a store-bought blend. I have received comments in the past of people asking me how to make a recipe gluten free, however could never reply with certainty, since I’ve never really delved into the topic. So, I decided it was about time I did. I knew the basics of gluten free baking. 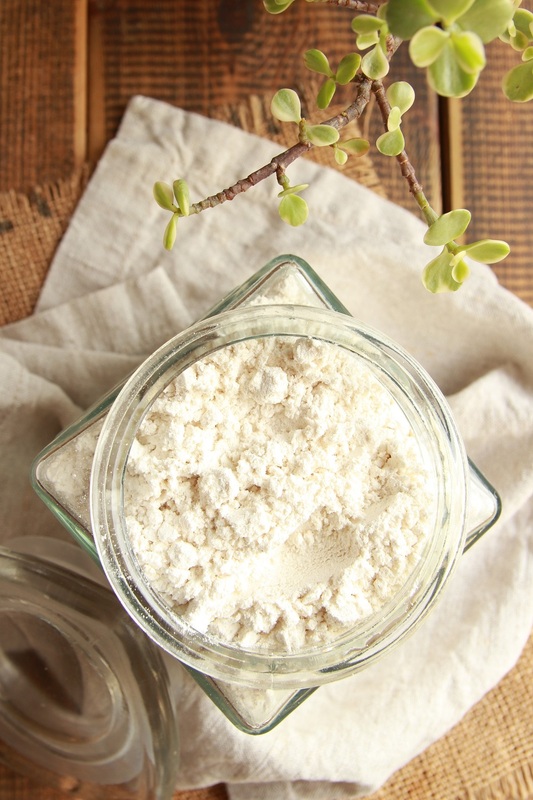 You cannot simply replace regular flour with a gluten free grain flour and expect it to work. Gluten, found in flour, supports the cake by building an invisible net that catches and traps gas and prevents it from escaping while baking, while absorbing and holding onto moisture, and acting as a binder. 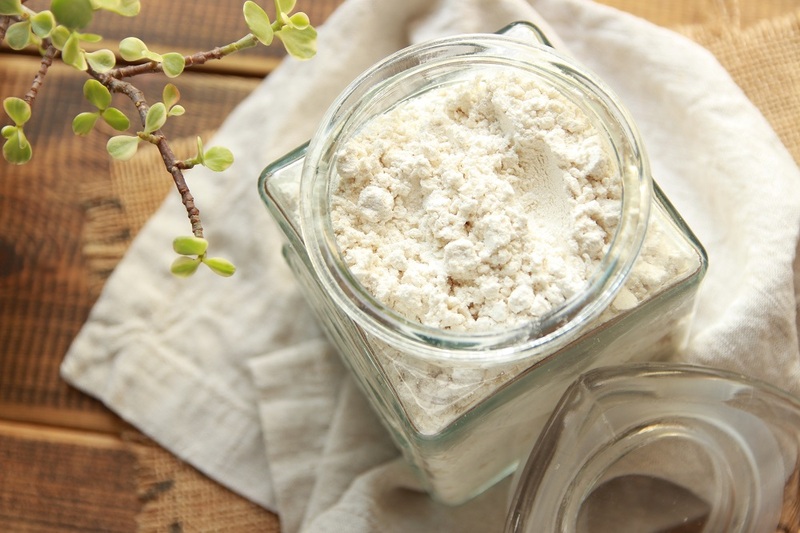 So, to mimic the role that the gluten plays in a baking recipe, and to turn it gluten free, I would need to come up with a few different types of gluten free flours, that would act as binders, absorbents and keep the cake from falling apart. So that being said, I knew what was needed, but couldn’t come up with a formula. I set myself to the task and started researching the internet. 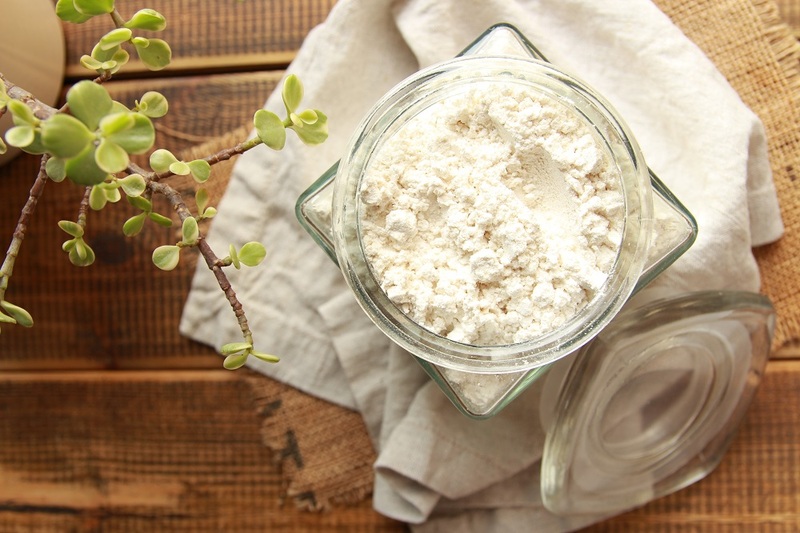 Quickly enough I came across this amazing article on how to build your own gluten free flour blend using a simple formula. 60 % starch flours and 40 % gluten free grain flours. From here it was a piece of cake. I started playing around with the different flours I had in my pantry keeping the formula in mind. Excited to see if it worked, I immediately tested it on my Vegan Maple Cake. The results were incredible, as the cake tasted exactly the same! Pleased with myself for having succeeded, I continued experimenting and even ended up whipping up a delicious gluten free chocolate cake. Stay tuned for the recipe. Place all the ingredients into a plastic container, tightly close the lid, and shake well until everything is combined. You can also place all the ingredients into a food processor and blend until combined. Store in your pantry or fridge, in an airtight container for up to 6 months and enjoy. 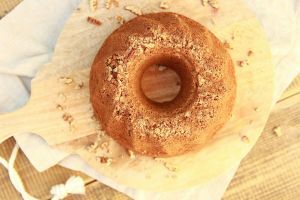 Try making my Vegan Maple Cake by simply replacing the spelt flour with your new homemade gluten free flour mix. Thankyou so much Elinor!! I will make this mix up in a few days time…meanwhile, Shabbat Shalom…it will be 35 deg Celsius here tomorrow! Your blog is amazing, you should be very proud!